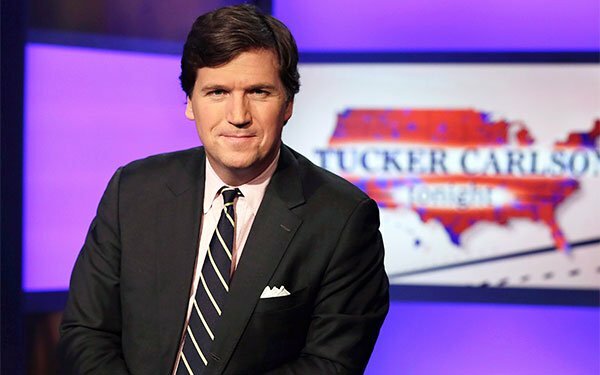 Even before the recent controversy surrounding the host of Fox’s high-rated “Tucker Carlson Tonight,” the show has seen lower paid-advertising airings and higher on-air promotional airings, coming from Fox-associated businesses. From a recent four-month period -- between November 14, 2018 and February 10, 2019 -- the number of paid advertiser airings for "Carlson" dropped to 3,513 (coming from 348 brands) from 4,935 (376 brands), according to iSpot.tv. At the same time, 21st Century Fox brands -- Fox News Network, the Fox network and the new OTT platform, Fox Nation -- have seen soaring on-air play, growing to 600 airings over the period versus 31 in the 2017-2018 period. Fox News Channel promos aired 290 times, while Fox network programming had 198 and Fox Nation aired 116 in the most recent period. Total impressions over that period had 86.85% going to paid-advertiser versus 99.36% in the same period a year before. The biggest-spending advertisers on that show during the period from November 2018 to February 2019 include Sirius FM Satellite Radio (touting its Fox News audio channel) 169; My Pillow, 131; Elite Singles, 82; Starkist, 75; Progressive Insurance, 72; Super Beta Prostate, 72; Jenny Craig, 55; and Sheex, 49. A year ago, over the same period, some big-name brand marketers were regular big spenders in the show, including Hulu with 88 airings; Mitsubishi with 77; Liberty Mutual with 75; Geico with 63; Applebee’s with 56; and Subaru with 45. From January to March 13 of this year, national TV ad revenue estimates from industry sources show that “Carlson” pulled in around $29 million. In the year-ago period, show revenues came in at $40 million. For the full-year 2018, the show grabbed $196 million. Recent recordings from a radio show made a decade ago featured Carlson making vulgar and misogynistic remarks. In December, Carlson said immigrants make “the U.S. poorer and dirtier” on his show. 3 comments about "Fox's 'Tucker Carlson Tonight': Less Brand Advertising, More In-House Promos". Chuck Lantz from 2007ac.com, 2017ac.com network, March 15, 2019 at 4:39 p.m.
"But we will never bow to the mob", says the guy who bows deeply to the mob nightly. Stan Valinski from Multi-Media Solutions Group, March 16, 2019 at 12:46 a.m.
You don't want to diss Adam Buckman's favorite reporter Chuck...or is is a close tie with Hannity? Chuck Lantz from 2007ac.com, 2017ac.com network replied, March 16, 2019 at 1:18 a.m.
Just when I thought I couldn't be more depressed about Carlson, you're telling me that someone considers him a "reporter"? ... Please say it ain't so!